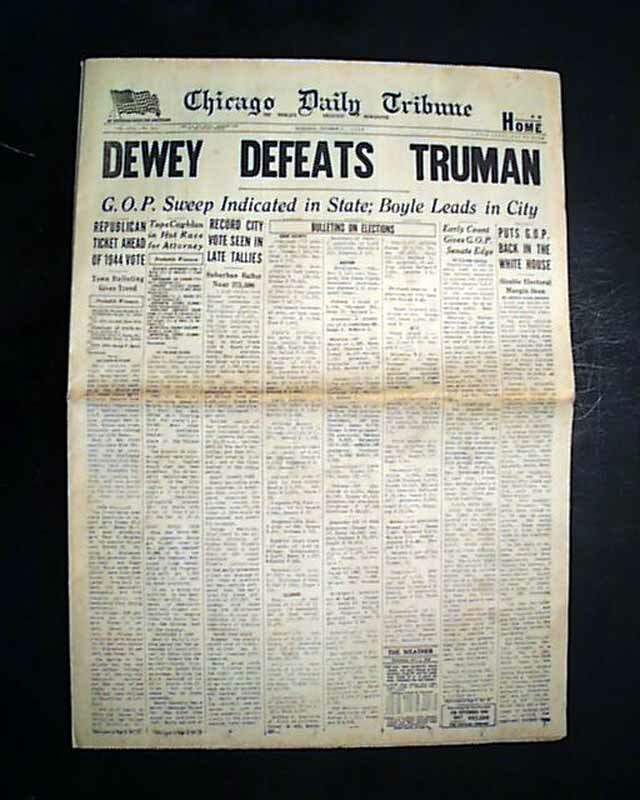 See the photos for what is arguably the most recognizable headline of the 20th century: "DEWEY DEFEATS TRUMAN". 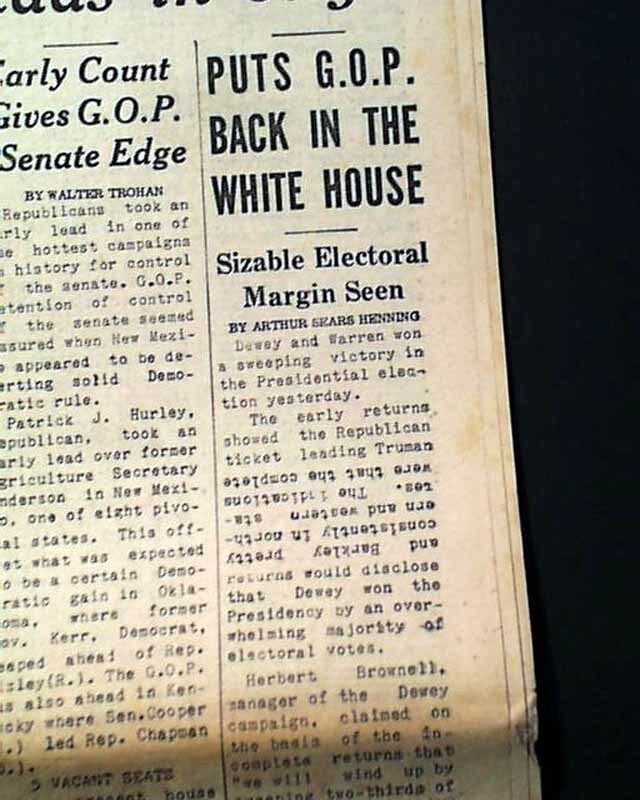 Even those not remotely knowledgeable about historic newspapers are familiar with this headline as it appeared in countless history books, historical reviews of the 20th century, and presidential campaign and election reports. It was the early "two star" edition of this paper which printed this famous error, changed with the second edition. And there were actually two different "two star" editions, one noting "City 54 pages" above the stars (presumably for city distribution) and the other without "city 54 pages" as is the case with this edition (presumably mean for distribution to the suburbs). The former had 54 pages and the latter 40 pages. It is interesting to note that the typesetters of the Tribune were on strike at the time so much of this issue was set using a typewriter, giving it its amateur appearance. Some sentences are even pasted in upside down. As the photos show, this newspaper is in great condition with virtually no edge or fold wear. Some light toning from age, with a bit more toning at the fold which is typical. One of the nicer condition issues of this rarity that we have offered.